Dogs and cats are curious by nature, particularly when it comes to food. They’re also very good at begging for a taste of whatever we may be eating or cooking. 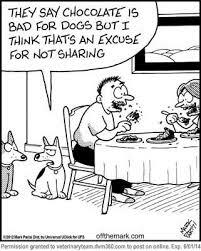 As cute as they may be, though, our pets can’t always stomach the same foods as us — some food can be toxic and even deadly to their health. Different types of chocolate contain various levels of fat, caffeine and the substances methylxanthines. In general, the darker and richer the chocolate (i.e., baker’s chocolate), the higher the risk of toxicity. Depending on the type and amount of chocolate ingested, dogs may experience vomiting, diarrhea, urination, hyperactivity, heart arrhythmias, tremors and seizures. Table scraps often contain meat fat that a human didn’t eat and bones. Both are dangerous for dogs. Fat trimmed from meat, both cooked and uncooked, may cause pancreatitis in dogs. And, although it seems natural to give a dog a bone, a dog can choke on it. Bones can also splinter and cause an obstruction or lacerations of your dog’s digestive system. Abundant in many cookies and candies, certain nuts should not be given to pets. Almonds, non-moldy walnuts and pistachios can cause an upset stomach or an obstruction of your dog’s throat and/or intestinal tract; macadamia nuts and moldy walnuts can cause toxic poisonings. Moldy walnuts can contain toxic chemical products produced by fungi which cause seizures or neurological signs. Lethargy, vomiting and loss of muscle control are among the effects of nut ingestion. Onions contain an ingredient called thiosulphate which is toxic to cats and dogs. The ingestion of onions, onion powder, or even cooked onion causes a condition called hemolytic anemia, which is characterized by damage to the red blood cells. In other words,onion toxicity can cause the red blood cells circulating through your pet’s body to burst. A small amount can be toxic to your dog or cat. Ingestion of the product will cause the rapid release of insulin in dogs and result in hypoglycemia. Hypoglycemia results in vomiting, weakness, and sometimes seizures. In some cases, xylitol poisoning can result in liver failure. As little as one stick of xylitol gum could be toxic to a 20-pound dog. 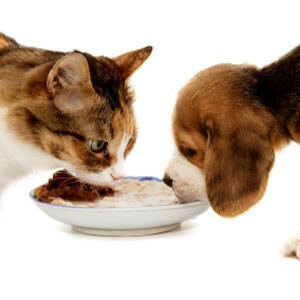 Share the post "Toxic Food Guide For Pets You Must Read"
Next PostAre you a Pet Owner or a Pet Parent?